We have two bird feeders near the driveway that stay busy all day long. 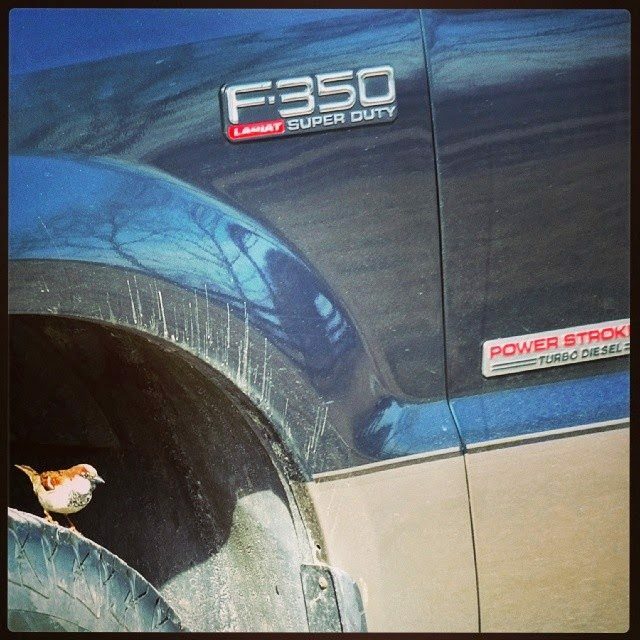 The birds love to perch on the tires of “Big Nasty”, our Ford F350 Diesel truck. My guess is the black rubber absorbs the heat from the sun, plus the wheel well provides shelter from aerial predators. Pretty smart!